In this study, we focused on full-region cruise survey data, near-bottom continuous mooring observations and sea surface wind products from the western South Yellow Sea in winter; after ensuring the data reliability and accuracy, we processed and analyzed the data. Image resolution experiments were carried out to determine the lowest recognition resolutions for all image types, which represent the resolution characteristics of the data. The existence of a warm water tongue originating from the Yellow Sea Warm Current (YSWC) that approached waters offshore Qingdao was confirmed. For the first time, a high salinity water tongue, corresponding to the warm water tongue, was described and found to be more representative of the YSWC branch path This warm tongue is a sign of the branch originating from the YSWC, which we defined as the Yellow Sea Warm Current Branch approaching waters offshore Qingdao (YSWC-QDB). The pattern of the warm and salty water tongues showed remarkable rear, branching middle, shrinking neck and expanding top regions. These patterns showed a temporal feature of the tongues, and were the result of multi-temporal branches in front of the YSWC main section as well as the YSWC-QDB crossing the southwestward path of the extension of the North Shandong Coastal Current flowing along the southeast coast of the Shandong Peninsula (NSCC-SESE). Analysis using mooring data at a sensitive and representative station also showed the existence of the YSWC-QDB. It is a probabilistic event that manifests as a northwestward flow that decreases gradually from the bottom to the surface in the early cold air transit stage and consistent in the whole water column profile in the later stage. It varies quasi-periodically with weather processes. It also transports some of the YSWC water stored in the entrance area of the Bohai and Yellow seas under winter wind conditions to the western South Yellow Sea as a compensatory current. This current, caused by northerly winds, especially northwest winds and obstruction of the NSCC-SESE, was present, and strong water reduction and compensation caused significant residual sea level oscillations. The compensatory current, if caused by strong northwest wind, began to appear when its direction was opposite to the wind direction. In addition, confirmation of the YSWC-QDB provides an oceanographic basis for the short cooling time and rapid warming in the Qingdao area in winter. This research provides a basis for further studies of the YSWC-QDB at high spatial and temporal resolutions using large sea surface datasets. 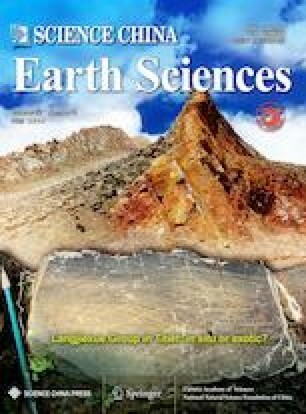 For monsoon basin dynamics, this study can also be extended to the whole Bohai and Yellow seas and closed or semi-closed basins on the continental margin. This study was supported by the National Natural Science Foundation of China (Grant Nos. 41376038, 40406009 & 41806123), the National Science and Technology Major Project of the Ministry of Science and Technology of China (Grant No. 2016ZX05057015), the NSFC-Shandong Joint Fund for Marine Science Research Centers of China (Grant No. U1606405) and the National Program on Global Change and Air-Sea Interaction of China (Grant Nos. GASI-IPOVAI-01-05 & GASI-02-IND-STSsum).